In contrast to the Eastern Townships’ genteel New England countryside with vineyards that stretch as far as the eye can see, the Laurentians north of the city are one hundred percent Québécois and, endowed with the province’s highest peaks and valleys, a veritable treasure trove of awesome skiing, mountain golf destinations, quaint villages, and countless lakes, some with grand country estates on their shores. 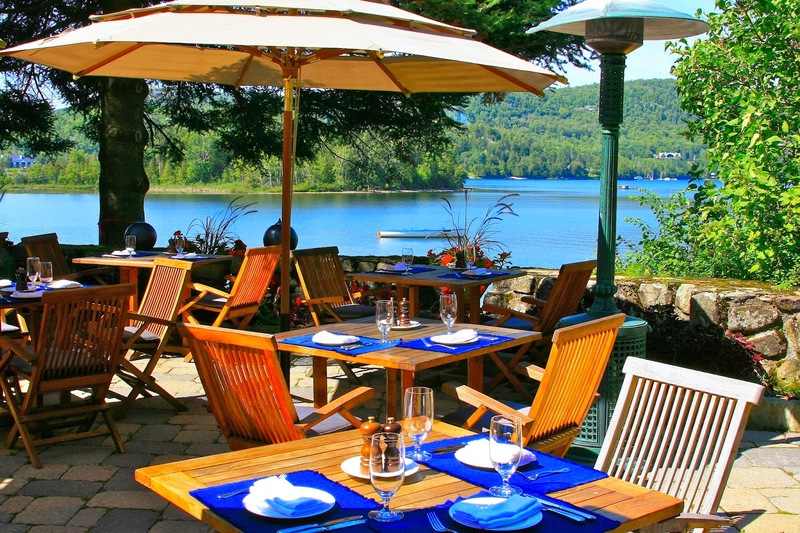 The never-ending debate of ‘Laurentians vs. Townships’ notwithstanding, it’s precisely at one of these country compounds at the foot of Mont-Tremblant’s world-renowned four-season resort that we lived a top shelf resort experience. 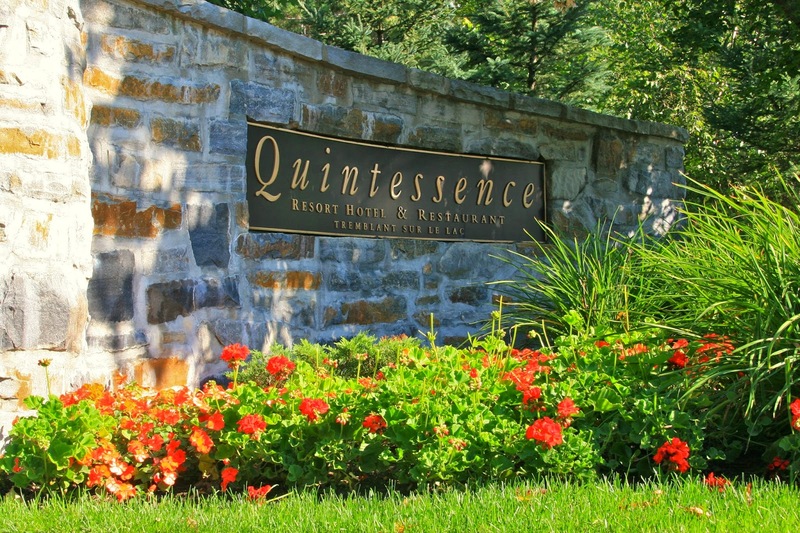 In this third and final instalment in a series that took us along a famous wine route and had us stay in a historic 5-star inn, we take you to Quintessence, the region’s premier luxury boutique resort, with origins dating back to 1941. 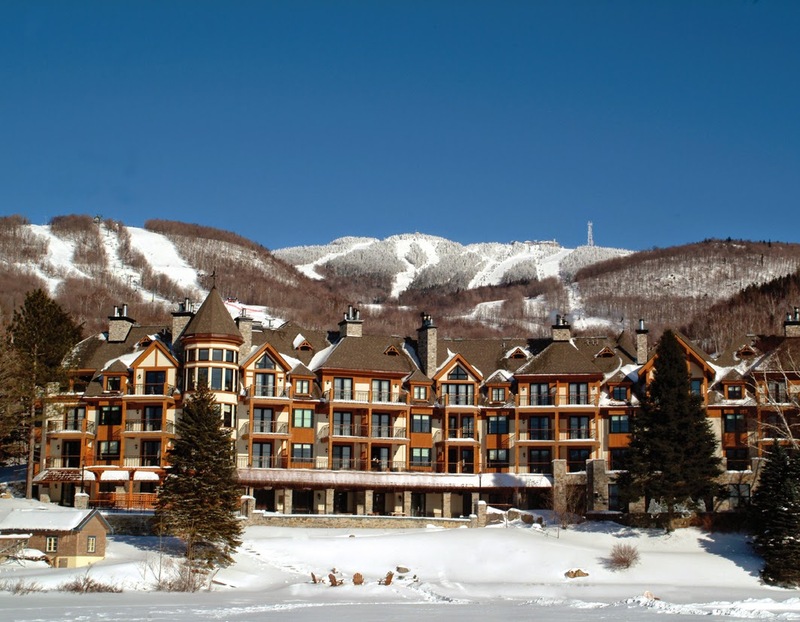 As the story goes, Tom and Nancy Claggett first visited Tremblant at the invitation of Joe and Mary Ryan. 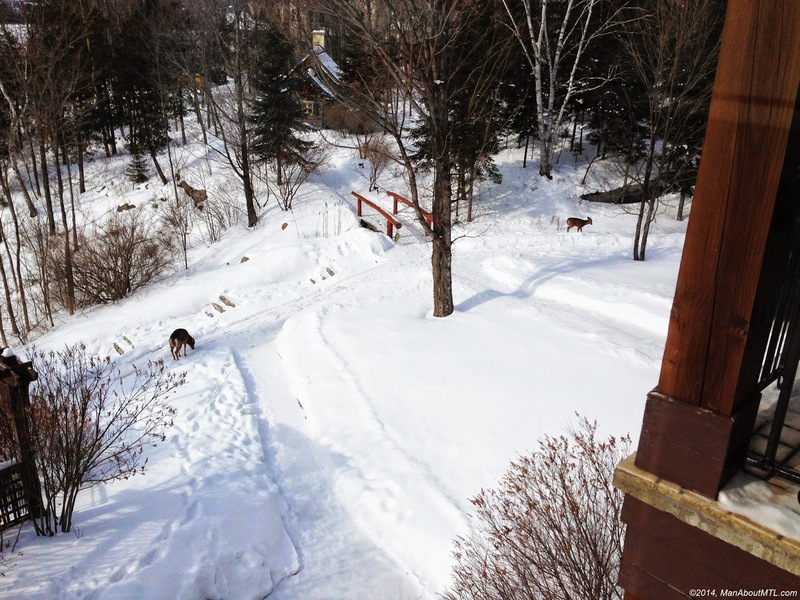 In 1960, the Ryans sold what was then the Mont-Tremblant Lodge to the Claggetts who then then built their vacation home, Sans Sabots – a reference to Nancy’s preference of going barefoot. Over the years, the home welcomed a constant stream of the Claggett’s friends and guests from Canada, the US, and beyond, in addition to various sports teams, diplomats, politicians, and journalists. Along with its waterfront beauty, the domain was known for its welcoming ‘home away from home’ hospitality and gracious accommodations. Today as the Quintessence, those traditions live on as the resort welcomes many repeat customers at the same times of year, just as the Claggetts did many years ago. As for the vibe and amenities, consistent and dependable luxury is the theme. There isn’t a bad seat in the house as rooms consist entirely of larger-than-standard suites, 30 of them, all with king-sized beds, private balcony or terrace, a view of Lake Tremblant, heated marble bathroom floors, deep sunken tub, and Aveda products. Where they differ is in size, the smallest ‘Q Suite’ measuring 700 square feet and working up to the uber-elegant 1200 square foot Presidential Suite – tricked out with three wood–burning fireplaces to keep you warm wherever you may be, separate dining area, and a secluded 750 square foot terrace for you to soak in your private hot tub among the treetops! For a truly romantic (if not close-quartered) experience book Claggett’s Cabin, a cozy, 400 sq. ft. romantic refuge nestled in the woods beside the main building, and coming with a story all its own. Built in 1885 and moved from St. Jovite to its present location in 1962 by the Claggett family, the four–poster queen-size bed and cast iron claw foot tub take up much of the small space, and the best vantage points from which to enjoy the original brick fireplace. Fear not, however, as the cabin does come with a closed bathroom. Over here you’re never at a loss of things to do. Apart from the world-class skiing, highlights include music festivals, dog sledding, horse drawn sleigh rides in winter, sugaring off in spring, water skiing, hydroplaning, and mountain hiking in summer, and vibrant autumn colours in autumn. Back at the ranch, the resort offers many fine dining and drinking options - from restaurant La Quintessence’s gastronomic experience at breakfast, lunch or dinner, to the comfortable wine bar offering a wide selection of rare single malt scotches, fine champagne, cognacs, and liqueurs. For something extra special, give the Chef’s Table a try, as he personally serves a multi-course tasting menu for up to six people. Dinner for us was in an intimate, curtained off round banquette, and quite simply divine! 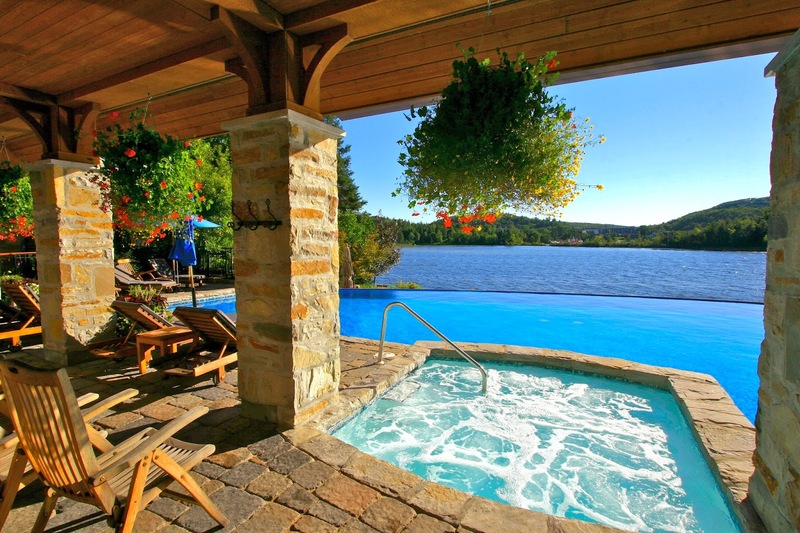 After a full day on the slopes, head to the noted Spa Sans Sabots where you can take in a few hot and cold bath cycles with the omnipresent Lake Tremblant as the backdrop. Nordic bath aficionados will appreciate that the outdoor pool is kept at a ‘pleasant’ 5-7°C, and so a quick dip after the whirlpool doesn’t shock your system as much as some other spas’ cold baths. To further ease the muscles, make use of the sauna and steam room, or book a massage with one of the certified therapists and let their magic hands take over. 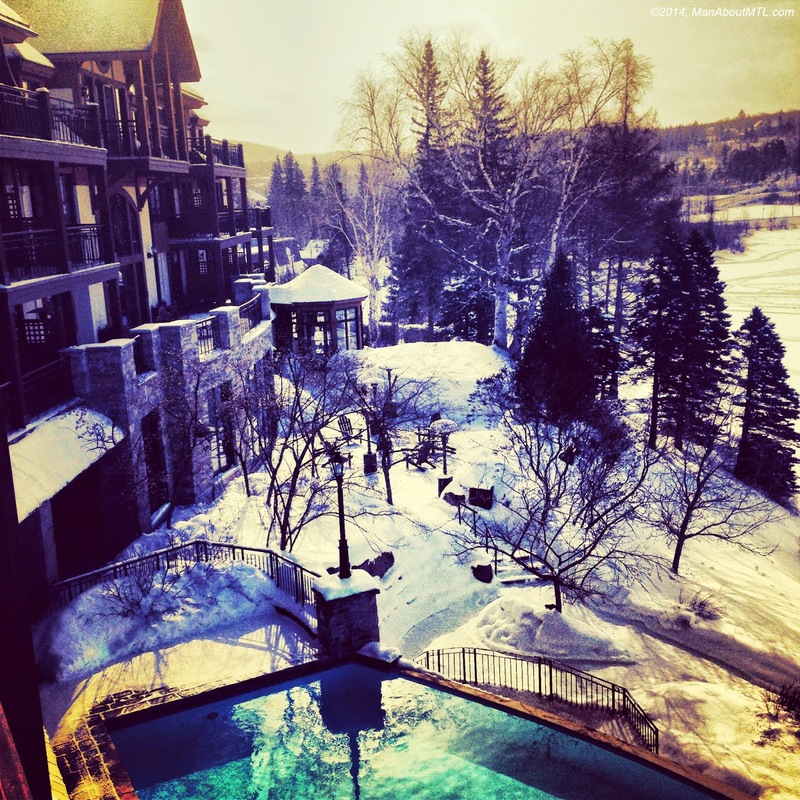 Tremblant luxury simply doesn’t get any better!